Daniel Jackson returns from an off-world diplomatic mission, stricken with radiation poisoning and accused of sabotage by the host government. As Daniel fights for his life, slowly succumbing to the poison ravaging his body, SG-1 struggles to learn the truth of what really happened to him on the planet. SG-1 must mount a rescue mission on an inhospitable planet. Their goal: to save Heimdall, an Asgard scientist, and secure an underground laboratory before they fall into the hands of Anubis. 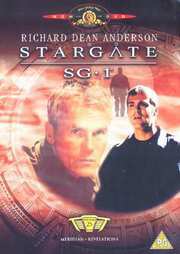 But complications arise in the form of an unexpected wildcard, the Goa`uld threat, and a shocking revelation concerning the Asgard.